Rishi Angirasa is one of the Saptarishis (Seven Immortal Sages) and the Manasaputra (son born of the mind) of Brahma, and is one of the Projenitors of humankind. 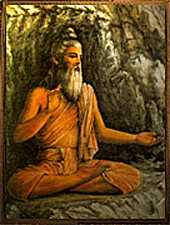 Many verses in the Vedas are attributed to Rishi Angirasa. 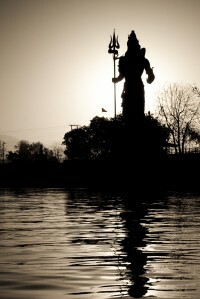 He, along with sage Atharvan, are said to have composed (heard) most of the Atharvana Veda. Through his tapas, Rishi Angiras came to be known as Angira, “shining like fire”. In the beginning of time, Rishi Angiras, at the behest of Bhagwan Sanatkumara, built the ancestral Himalayan cave in the region of Mt. Kailash where Lord Shiva resides, guiding aspirants along the path. 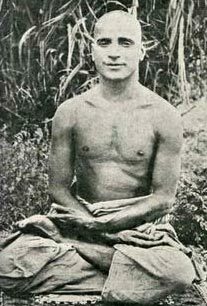 One of the stories related to Rishi Angirasa is mentioned in the Mundaka Upanishad. A householder by the name Saunaka carried his firewood and reached the forest where Rishi Angirasa was. He approaches the Sage reverently and beseeched “O Holy Sage, teach me that through which the whole universe can be known.” Rishi Angirasa goes on to explain the two different kinds of knowledge on this Earth. The lower knowledge he stated, are the sciences, hymns, rituals, grammar, poetry astrology etc. The higher knowledge is that which leads a man to that which never dies. The Indestructible. Thank you for this beautiful post. We have shared your link and an excerpt at our Online Library One Light Many Windows’ section Teachings of Masters. Please see if you are happy with the attribution.